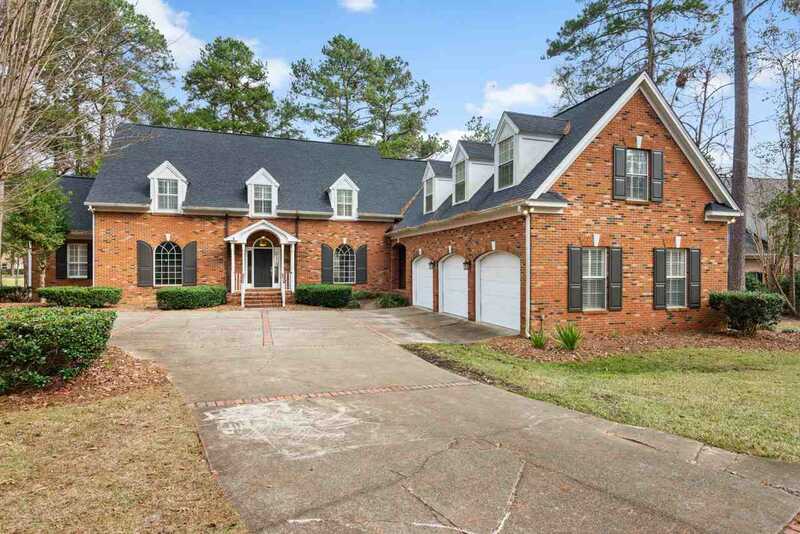 Traditional all brick 5/4.5 home in Golden Eagle with golf course frontage and beautiful lake view! Home features hardwood flooring, vaulted ceilings, crown molding, plantation shutters and butlers pantry. Formal dining and formal living room with gas fireplace, office features wall of built-ins and projector screen. Downstairs master with private bath and his/her walk in closets. Open kitchen with stainless appliances, granite counters, bar seating and breakfast room opens up to family room with fireplace. Large windows allow for amazing natural light and views. 4 spacious bedrooms upstairs, 2 with ensuite baths, along with 18x13 living area/rec room. 12x68 covered back porch perfect for relaxing or entertaining! SchoolsClick map icons below to view information for schools near 8495 Congressional Drive Tallahassee, FL 32312. Listing provided courtesy of Hill Spooner & Elliott Inc.